Now you can watch Omar on the new FOX show “Rake” alongside Greg Kinnear. Greg Kinnear plays the role of Keegan Deane. He is the genius lawyer, but he is a degenerate in everything else in life. He is a degenerate gambler. He is a degenerate womanizer. He owes the IRS hundreds of thousands of dollars. Dorsey plays Kinnear’s friend, who is also Greg’s bookie. Art Eddy: You have been busy recently. Let’s first talk about your role on “Eastbound & Down.” How did you get involved in that show? 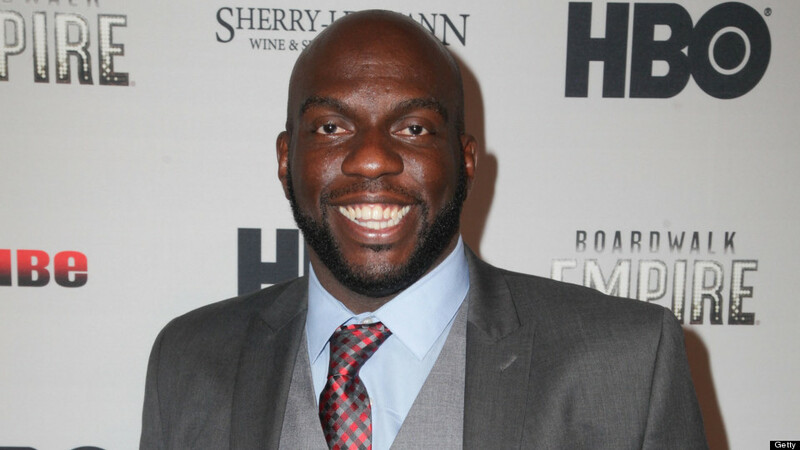 Omar Dorsey: I did it the old fashioned way. I auditioned for it. It was crazy. I met Danny when I was doing “Django.” He was doing “This is the End.” We were both in New Orleans. I ran into him. I asked him if they were bringing the show back. He said he didn’t know. He wanted to bring it back, but he didn’t know. Then I swear two or three weeks later HBO was bringing it back. I was on a mission. It was my favorite comedy. I have to get on this show, by hook or by crook. So when I go audition for it I see Danny. He was like hey. I was like I told you I wanted to get on your show. I went in there and knocked out the audition. We created the great character named Dontel Benjamin. It was fun. AE: The show has a great cast which is headlined by Danny McBride. What was it like to work on the show that is very different from other comedy shows? OD: It is a show that is real life. That is how dudes talk to each other. My mom watches it. She says that she doesn’t get it. She says she doesn’t understand the show. She asked me why does everybody curse. I told her that this is how we talk to each other. It is not like church. When we are watching sports or on the phone with each other we sometimes curse each other out. We don’t mean anything bad by it. It is such a natural show. It is quite organic. Even the way that we shoot the show. Jody Hill is the show runner. He told us we were going wide open. You can say whatever you want to say within the structure of the show. We could improv. That was when the best stuff came out in the show. AE: Do you have any cool behind the scene stories from that series? OD: We shot in North Carolina. We were like a family. We stayed in the same hotel. We would go out to eat together all the time. We did everything together. When we got done with work we would meet in the lobby and go out to eat. That was the most fun thing in the world. We did that for two months. It was awesome. AE: You star in the new show called “Rake.” Tell me about your character and the show. OD: It is a great show. Greg Kinnear plays this character Keegan Deane. He is the genius lawyer. He is a degenerate in everything else in life. He is a degenerate gambler. He is a degenerate womanizer. He owes the IRS hundreds of thousands of dollars. I play his friend, who also happens to be his bookie. He owes me money as well. I have to remind him quite often that he owes me money. We would be partying and go to the bathroom. I beat him up in the bathroom and tell him how much he owes me. It is just a fun role. Every week the role just keeps growing. It is like the role has a life of its own. I love it. AE: What can the audience expect from this show? OD: It is a fun show. I believe it will connect, because Greg Kinnear connects with people. It is the same thing like how “House” was. You would be like this guy is such a despicable character, but he is very likable. It is that type of thing. Or like how “The Shield” was with Michael Chiklis. He is not as bad as Michael Chiklis was, but he was that anti-hero type though. He tries to be morally good with his clients. That is how people will connect with him. 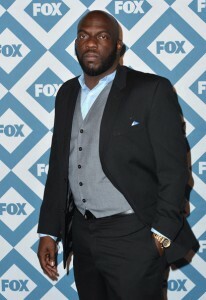 AE: I am a big fan of “Django Unchained.” What will you take away from your experience working on that film? OD: That movie changed my life straight up. I was noticing the way Christoph Waltz, Leonardo DiCaprio, Sam Jackson, Jamie Foxx, and Walton Goggins work. I would sit back and watch. Then I like to ask questions. I was asking them questions. They really taught me on how to be an actor. It was like I was in acting school. I would be sitting there with DiCaprio at lunch and would be talking about characters. This was right before he went to New York to do “Wolf of Wall Street.” I asked him how he does that. He goes from one role to the other. He has to learn all these lines. He said that is why they pay you. Watching their work ethic. Watching their brilliance. All those people were great. Quentin Tarantino has the best eye for talent. Watching all these actors who I admire and their process was showing me how it was done. Nothing has been the same for me since then. After “Django” I came back and started really working a lot. It has been non-stop since then, because I learned those lessons from what those guys taught me.